Ghosn will remain in Tokyo's main detention center. TOKYO -- A Japanese court on Sunday extended for 10 days the detention of ousted Nissan Chairman Carlos Ghosn, who is facing new allegations of making the automaker shoulder $16.6 million in personal investment losses. The extension by the Tokyo District Court means Ghosn will now remain until Jan. 1 in Tokyo's main detention center, where he has been confined since his arrest last month on initial allegations of financial misconduct. Ghosn was re-arrested on Friday based on suspicions that around October 2008 he shifted personal trades to Nissan to make the company responsible for 1.85 billion yen ($16.6 million) in appraisal losses, prosecutors said. They said the move inflicted damage on Nissan by having it deposit a total of $14.7 million on four occasions between June 2009 and March 2012 into a related bank account. The prosecutors alleged Ghosn used Nissan’s money to pay a person who helped him meet payments to maintain a personal trading position during the 2008 global financial crisis. 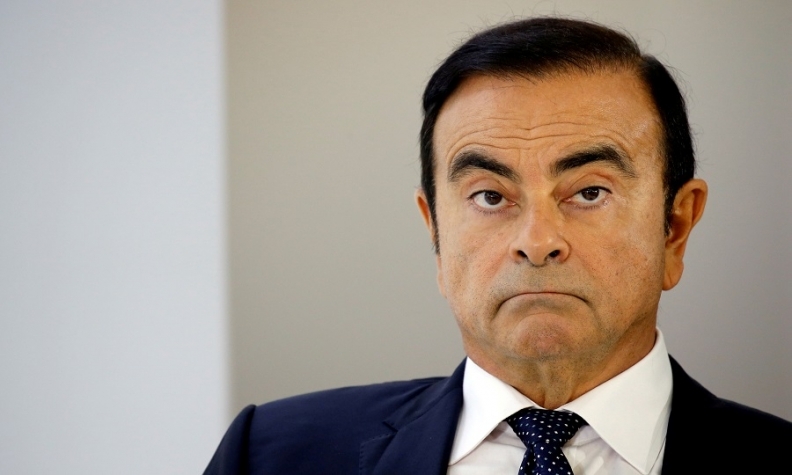 Motonari Otsuru, the main lawyer representing Ghosn, said in a written statement on Sunday that the actions did not constitute a breach of trust and the $14.7 million payments were made for work the person did for Nissan. The lawyer didn’t identify the person by name.